Hur kan vi skapa en b�ttre Aikido? Var �r svensk Aikido p� v�g? Why is so important for so many to know what is Aikido? This seems like such a major issue that many feel that their task is to tell the world what Aikido is. And they do it, quite often, after only one year of training. It is said that all serious Aikido practicioners know that Aikido, like Tao, cannot be explained with words. It must be lived with your whole body and all senses! But on the other hand, the majority says only what they heard from their instructors or read in any books or read on the Internet. What they write does not come from their knowledge stores or from their own experiences. Often you can hear statements like: Aikido is the best self-defence we can train, Aikido is a soft and harmonius Martial Art, one becomes agile if you practice Aikido, and so on. When you have practiced Aikido for over two decades, we find that the the young and strong sensei who said this, when they were between 20 and 30 years old, suddenly, when they passed the 45 years line, are they old, stiff, cannot sit in seiza, they may not be thrown, they throw themselves and do just train a few class during a week of Aikido camp, because the power is not there. 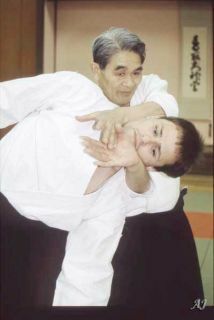 Aikido is certainly good for the body only if we practice properly. But where are the instructors with the necessary experience for the pupils feel to feel good and get a good physics after 30 years of continous practice? And I mean practice and not just to be on the tatami as an instructor as the only physical activity. In Swedish we have the incredibel word LAGOM (moderation) that so many Swedes boast that only Sweden has such a word, (how naive they are, this word is in all languages). But what is lagom? The young sporty and agile instructors teach movements that after 20 year will improve to have been inaccurate. Those who are around 45 teach movements that will not yield any profits in later life. Practice with moderation is the training as all the time is riding a little bit over the max-curve and allow the performance-curve may be a small but sure upward slope. To much over the max-level provides quickly and short results (to much of this training gets permanent demage later in life that this is the case with elite athletes who sacrifice their bodies to try to be best a few moments in their life. If the exercise never reaches the the maximun level, no matter how close you are, you will just feel welfare at the moment, but after a short breake from the training your body will return to his old self. This way of exercising streins your heart, so that it is not certain that we will reach the retirement age. I cannot explain what Aikido is, but I can tell you how the word Aikido came to. Since I started practicing Aikido in 1969, i have never been told the reality of the word Aikido. I, like so many others, had believed in what my sensei told us. But now for a couple of days ago, November 2005, by coincidence, i came into contact with an Aikido organization called Korindo Aikido. This organization has nothing to do with Honbu Dojo (Aikikai Headquarter in Tokyo) to do. Now it turns out that the word AIKIDO came by accident, click on the link here to read more about it http://haman316.tripod.com/aikido.htm. 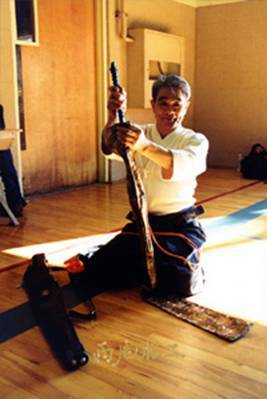 This was a name that doesn't brought aggression of the estabilished Marcial disciplines and it was Kendo consent that made the word AIKIDO got to be the name of the movements we practice today. 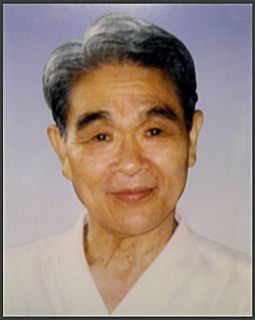 All according the great master Minoru Hirai sensei, creator of the word AIKIDO at the request of O'sensei. Aiki is the place where all people have good health and are happy (or the Paradise, if we go into religion). The place that we all deserve to go to when we get old or when we die, because life is not sufficient to achieve Aiki. Ai and Ki tells us that. Ai represents all together (Ai stands also for love, but with a different kanji) and Ki stands for vitality, health (when we ask how someone feels in Japanese, so are we asking how his Ki is). Then there is Do, the way or the complicated and difficult path we must go to achive what we desire. Most Martial Arts disciplines focusing on self-defence. Aikido teaches effective self-defence techniques, but the goal is to further and develop awareness and self-confidence to avoid and resolve conflicts in a peaceful manner. 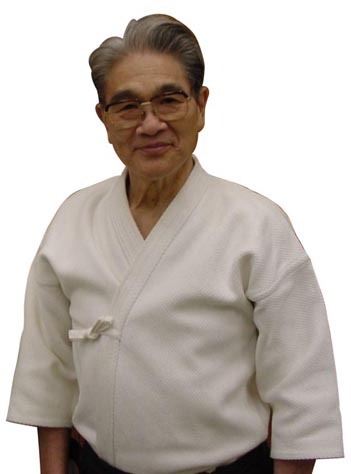 Carlos Enguis, the dojocho of the Daiwa Aikido, has been Aikido teacher in Uppsala, Sweden, since 1986, when he recived the Shodan by Ichimura-sensei. 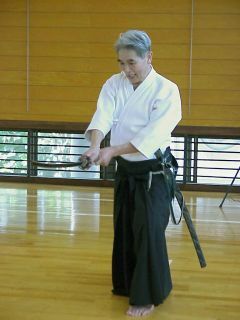 He holds the Godan in Aikido since January 2008 and the Nidan in Toho-Iai since 1999. Since 1984 he teaches Nishio Aikido Aikido ryu and have him as our leather and guide. Thunmansgatan 47, 754 21 Uppsala.